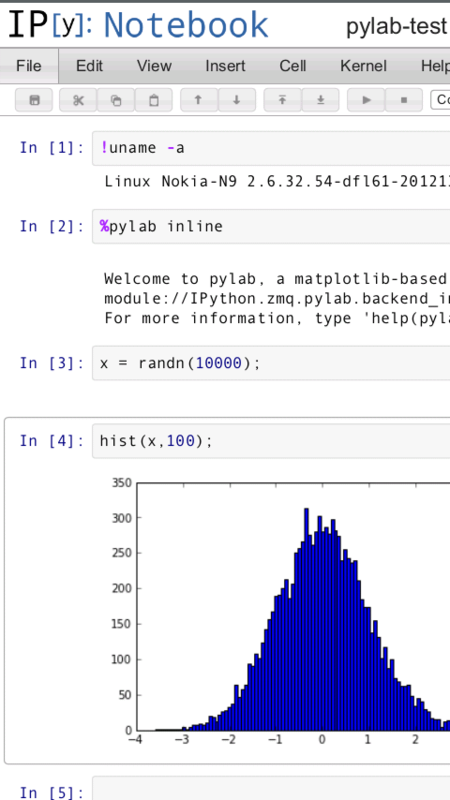 IPython is an enhanced Python interactive shell. IPython Notebook is a web interface. For MeeGo Harmattan, IPython terminal interface and IPython Qt Console are separated in other applications. By Installing IPython Notebook, IPython terminal interface is also installed. See the Talk Maemo.org topic about IPython for Maemo 4, Maemo 5, MeeGo Harmattan and Mer / Nemo Mobile / Sailfish OS.